Artificial Intelligence (AI) are popular buzzwords at the moment with experts keenly monitoring every progression in the market. AI has experienced rapid growth over the last decade and its capabilities to accurately communicate with human beings can surprise many. People may have the perception that in order for an AI to understand their human voice they will have to speak in a clumsy robotic format based on previous experiences in the past. However this is no longer the case, during the last five years, there have been significant breakthroughs in voice recognition using machine learning technologies. Voice recognition is being utilised in many different forms in automotive, telecoms, insurance and banking industries and it can range from biometric security to helpful chatbots. For AIs to predict what the customer is expecting them to say or do next, machine learning algorithms are required. 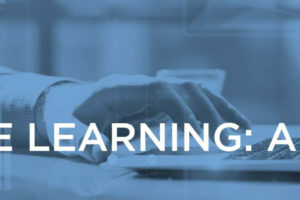 These rely heavily on data to provide customers with real-life contextual experiences, repeatedly analysing the data to find a model response and forever learning, adding knowledge to the data pool. 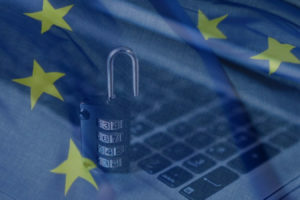 Voice biometrics defiantly represents a giant step in the industry towards abolishing passwords and relying on more sophisticated security methods that are both more secure and more convenient for the customer. Bill Gates agrees that the conventional password will not meet the challenge of keeping information secure, in steps biometric security. An example of this technology being used in the field is Barclays Bank, contact centres which have started using voice recognition to identify customers from their own individual voice. Voice recognition benefits both parties as customers can be quickly be identified without having to answer any security questions and the contact centre will save time on the engaged call. Chat bots have come a long way since the early days of the Microsoft Paper Clip, I’m sure many of us can reminisce about how useful that little bot was, but you had to physically tell it to do something. Nowadays the tides have turned and these chatbots can tell us what to do, such as Bank of America’s new chatbot named Erica and MasterCard’s named Kai have been brought into the world to help customers with financial advice and handling some transactions. According to the researcher, Gartner AI bots will power 85% of customer service interactions by 2020. Natural Language Processing (NLP) is a vital component for the AI to identify and understand the person who is conversing with them. Mark Zuckerberg, CEO of Facebook has created his own home AI called Jarvis who can fully understand any voice command and recognise who is issuing them. It is also learning, for example, "At this point, I mostly just ask Jarvis to 'play me some music' and by looking at my past listening patterns, it mostly nails something I'd want to hear," Zuckerberg said. However, when a new technology progresses there are bound to be challenges to perfectly mould it into a useful asset. The challenge for chatbots is to understand and show emotion, the human touch, as some would say. Emotion is a core driver of customer loyalty and chatbots may lack the emotional intelligence to understand complex customer scenarios and could have trouble emulating them. Siri’s humour has certainly sprung some entertainment in our personal lives however when it comes to business the chatbot needs to be polite, intelligent and helpful. Although it should not pretend to be human - customers may find it creepy and will be repelled to engage with it. The future is bright for voice technologies which promise to enrich our experiences with digital devices. Our voices are going to bridge the gap between human-machine conversations and in the near future, it will be an integral part of our daily lives. 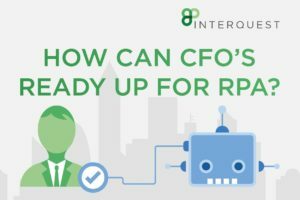 How can CFO’s transform their business for automation?